With Zmodo’s smart WiFi doorbell, you’ll never miss a visitor. Whether when you’re expecting a package at your door, or worried about an unkown or unwelcome person stopping by while your kids are alone at the house, you can have peace of mind now. Zmodo Smart Doorbell lets you control it in real time. 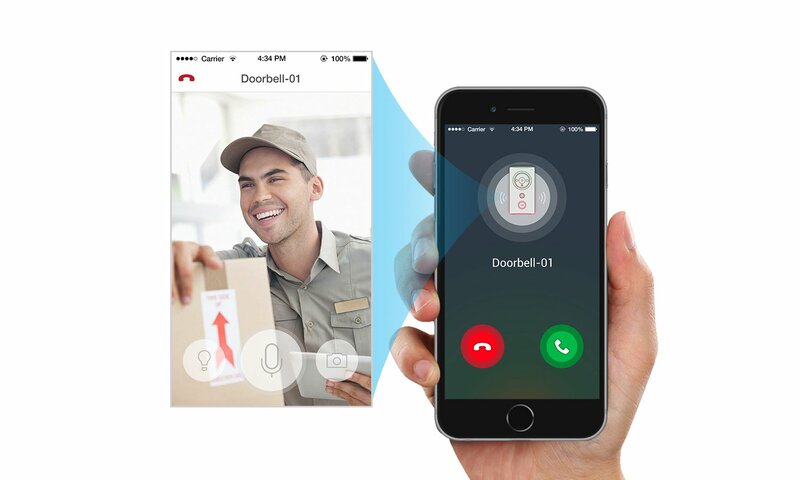 Zmodo’s smart WiFi doorbell provides real-time motion detection, two-way talk, night vision, pre-record messages, live recording, mobile alerts and more features. Setup is simpler than ever!Scan the QR code and be connected in seconds. With Zmodo Smart Doorbell, you’re never too far away from your home.